Amy Rushton, Project Coordinator for ‘The Hold’, introduces the treasure-trove that is Suffolk Record Office and explains the project. At Suffolk Record Office, we believe that understanding our history can help us understand ourselves and work together for a better future. 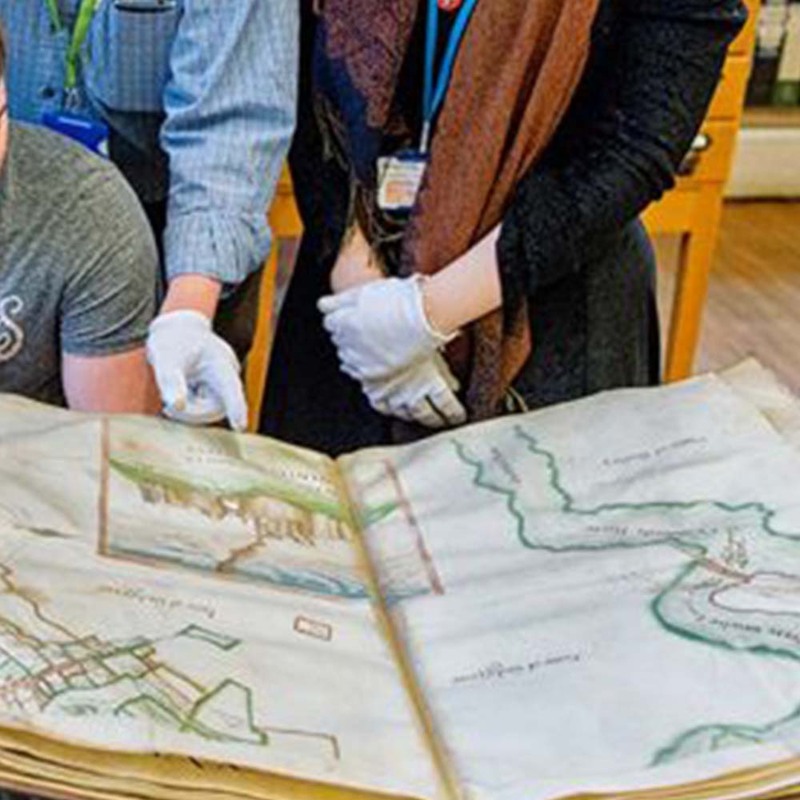 That’s why we provide access to 900 years of historical archives of both personal and national significance, helping people trace their family histories, research the area where they live, or simply uncover exciting stories about our wonderful county. The collections live on 9 miles of shelving at our three branches; Bury St Edmunds, Lowestoft, and Ipswich – the biggest branch by far. They contain thousands of nationally and internationally significant items, as well as some real surprises. For example, did you know we hold a copy of the first work of literature in England to ever be censored on the grounds of….obscenity? Moving to safer territory (! ), our medieval records are second to none, and are studied by scholars from all over the world. Among these records are manorial documents - national treasures that provide an insight into daily life during medieval times, such as the fact that a porpoise was a delicacy in the 1300s, something that has always intrigued me (where did Suffolk get its porpoises?)! You’ll find our Ipswich branch in the former Victorian School building on Gatacre Road; however, we’re in the middle of creating an exciting new facility, with support from the Heritage Lottery Fund. 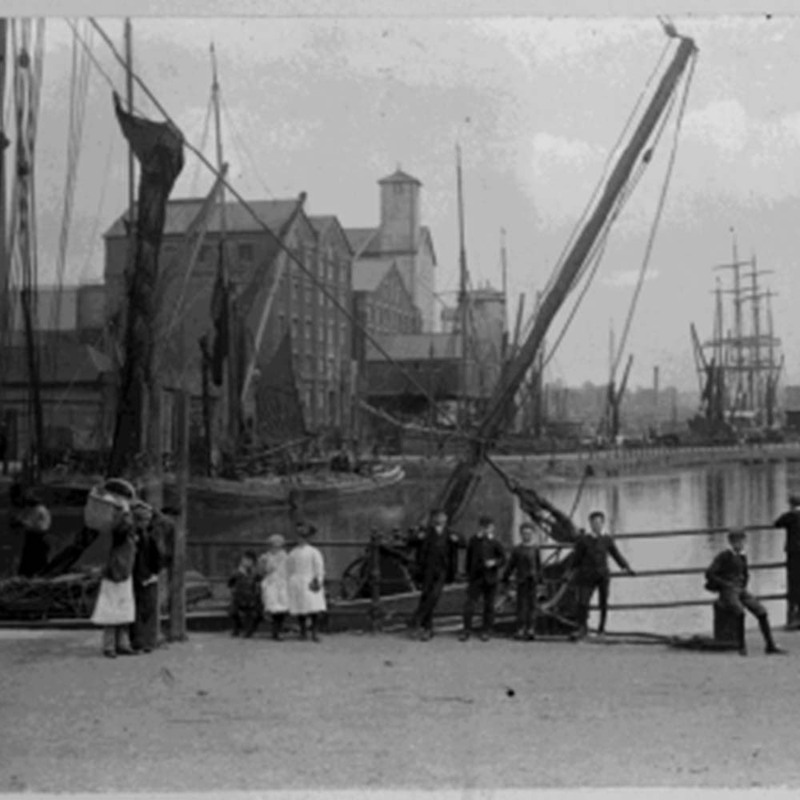 ‘The Hold’ will be a purpose-built heritage centre beside Ipswich’s unique and transformed Waterfront. The vision of the project is to bring the archives alive to many more people, including children and young people. Suffolk County Council is working in partnership with the University of Suffolk to make this vision a reality; ‘The Hold’ will contain an auditorium, teaching spaces, fit-for-purpose public research facilities, state of the art storage for the archives themselves, as well as retail, an exhibition space and a café. It will host a regular programme of exhibitions, events and activities to tempt everyone to come and discover something new – whether you’re a history fan, a student, a parent looking for activities for the kids, or just curious - there will be something on offer to tempt you! ‘The Hold’ should open its doors in late 2019, in time for the 900th anniversary of the oldest treasure in the collection! Each month in Waterfront Life we’ll update you on the progress of this project, as well as showcasing some of the unique treasures from the archives. Before too long, we’ll be able to share some architectural drawings with you, so please watch this space! "Everything you need to get to a healthier place."